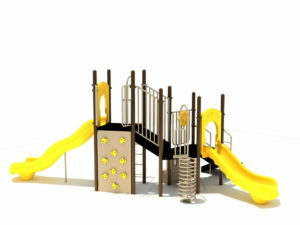 The Clash of Kings Playground will keep the kids busy with everything available on the structure. 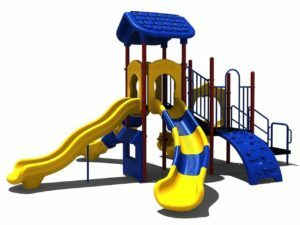 The four slides allow several kids to enjoy zipping down to the bottom without having to wait in a long line. 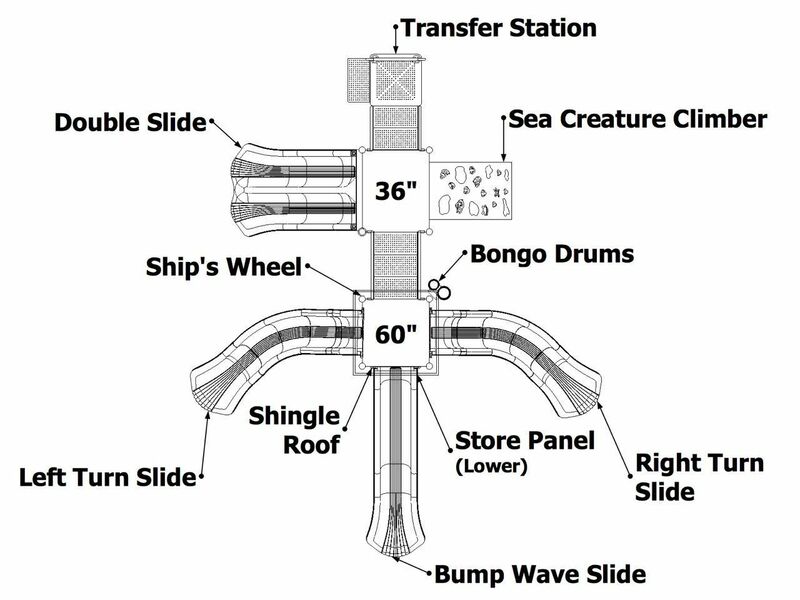 The sea creature climber will give them a different entrance to reach the slides. 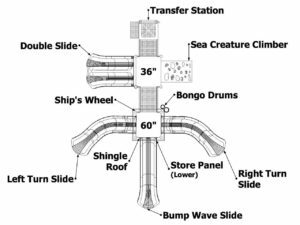 This playground also has bongo drums for kids to make music with and a ship’s wheel. 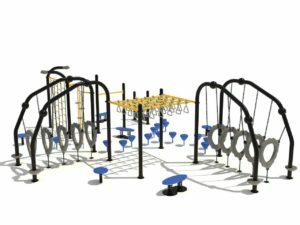 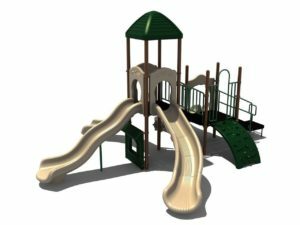 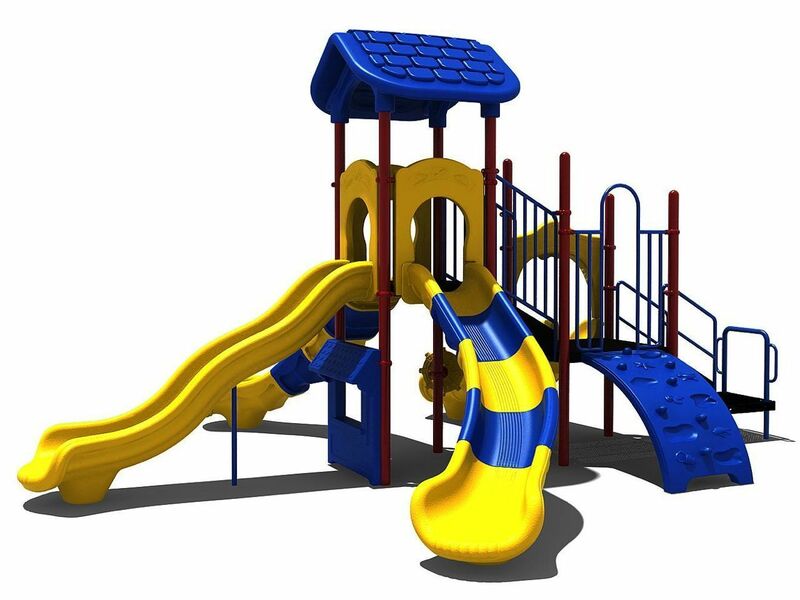 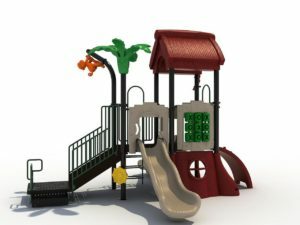 Clash of Kinds playground is also ADA accessible and comes standard in the colors shown. 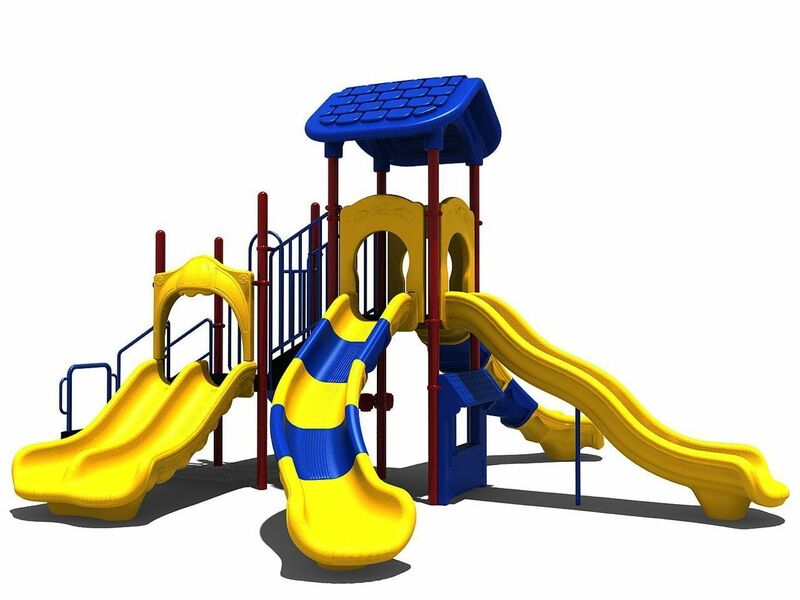 You may choose different colors by contacting our customer service team.